This system consists of a concerted transmitter and receiver. Each sound from up to 10 meters will be captured up by the sensitive microphone of the transmitter and will be transferred wirelessly to the receiver in a coded form and then will be decoded at that place. Therefore this system is the ideal tool whenever monitoring tasks have to be carried out without the risk of unwanted listeners. Although this device is comparatively low priced, its capacity is amazing in regard to secured monitoring transmissions. 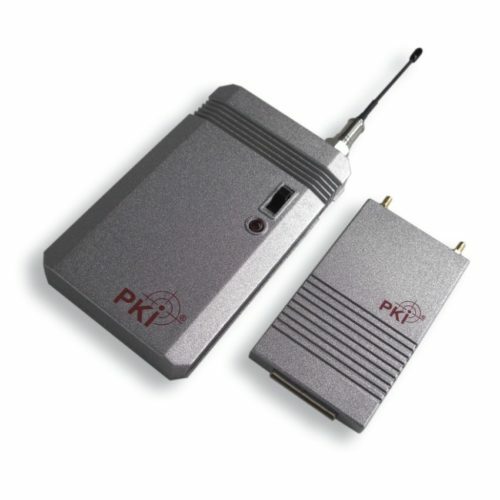 Additionally the small size and the low weight of the transmitter allows a fast and easy installation wherever it is required. The built-in battery (9V standard) provides a continuous operation of approx. 15 hours. Set of transmitter and receiver for a secure, coded audio transmission where no third parties are allowed to listen.